to career women, to women now enjoying the best years of their lives. We carry fresh classic trendy fashions. You will find your perfect work outfit to casual weekend wear and even special occasion wear. We feature name brands and cater to all shapes and sizes with being affordable. 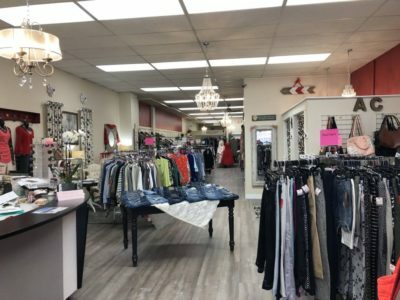 We carry head to toe accessories including scarves, jewelry, handbags, shoes and boots. Come and let Angie be your personal shopper and tour her closet!